Minerals and Vitamins accomplish a key role in the growth and maintenance of the body though they do not have any calorie values. Minerals are inorganic substances that form an integral part of body’s composition. They encompass about 4% of the total body weight. 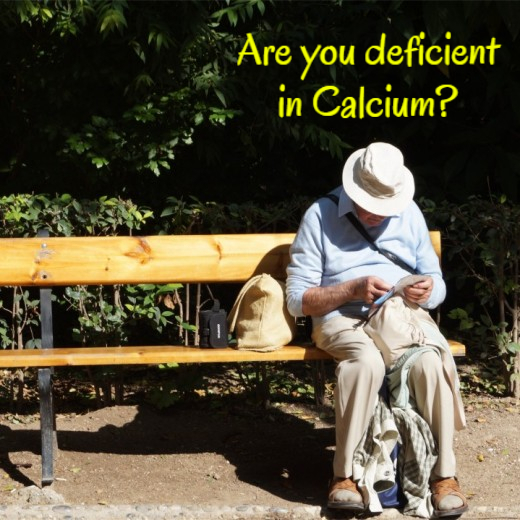 Are you deficient in Calcium? Now, let us have some familiarity about the mineral calcium and its significance to our body. An adult of 150 pounds holds almost 3 pounds of calcium. Bones and teeth contain about 99% while the remaining 1% circulates in the blood fluids. Calcium, along with Phosphorous, forms the hard substance of bones and teeth. Ample calcium and phosphorous alone will not guarantee strong bones and teeth; Vitamin D is also necessary for calcium absorption. Calcium is essential for the normal functioning of skeletal, muscular, nervous and vascular system. It assists in the production of acetylcholine, a neuro transmitter that improves transmission of nerve impulse. Calcium acts as a catalyst in instigating and controlling muscular contraction and relaxation. It is essential for blood clotting process. It also activates certain enzymes for digestion process and absorption of vitamin B12. Recommended intake of 1000 mg is vital for adults aged 19 – 50 years while an amount of 1200 mg is necessary for adults aged above 50. Calcium is available in both animal and plant sources, but calcium from animal source is more easily absorbed. Milk and milk products like skim milk, cheese, plain yoghurt, ice-cream are the paramount sources of calcium followed by sardines and salmons. In milk, since calcium is combined with lactose, it is readily absorbed. Consuming a fatty diet escalates absorption of calcium as fat delays gastric emptying and the time exposure of food to enzymes is lengthened. Best plant sources are tofu, spinach, broccoli, cabbage, Brussel sprouts, legumes, sesame seeds, fennel and cinnamon. Tofu’s rich calcium content is attributed to the addition of calcium during the production process to help in the precipitation of the soy milk to solid form. Absorption of calcium from plant source is less due to interfering factors like phytates, oxalic acid which are almost found in all the foods. Ovovegetarians and vegans should consume calcium fortified products such as cereals, non-dairy milks, juices, milk powder. Rheumatoid arthritis is an autoimmune disorder of unknown aetiology in which calcium and vitamin D plays an important role in bone metabolism. Calcium and vitamin D has been shown to suppress the development of autoimmunity. Long-term use of calcium and vitamin D appears to confer a reduction that may be substantial in the risk of hip fracture among postmenopausal women. Due to reduction in the bone density in the fourth and fifth decades of life, people develop osteoporosis, a silent disease. Studies suggest that approximately one in two women and up to one in four men aged 50 and older will break a bone due to osteoporosis. Even simple actions like sneezing, minor fall can cause fractures. Estrogen, a hormone in women that protects bones, decreases sharply when women reach menopause, which can cause bone loss. 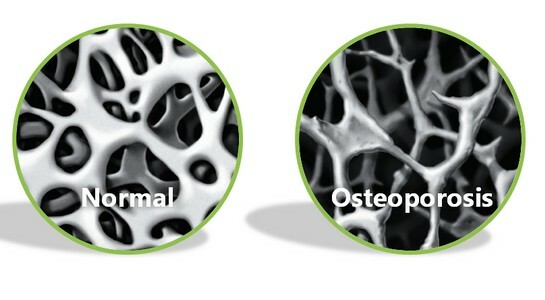 The greater your bone density, when you begin with menopause, the lower your chance of developing osteoporosis. Healthy older postmenopausal women can significantly reduce bone loss by increasing their calcium intake to 800 mg per B day. Supplementation with calcium citrate and orotate are more effective than supplementation with calcium carbonate. Osteomalacia means soft bones, causes severe bone pain and muscle weakness. Our body needs enough calcium, phosphorus and vitamin D for bone mineralisation to take place. If the body doesn’t have enough of any one of these, people are at risk of osteomalacia. It is important to plan your diet and your grocery shopping so that you will stay as healthy and strong as possible. Calcium is not the only important nutrient, a well-balanced diet, made up of all the food groups is the secret to health. 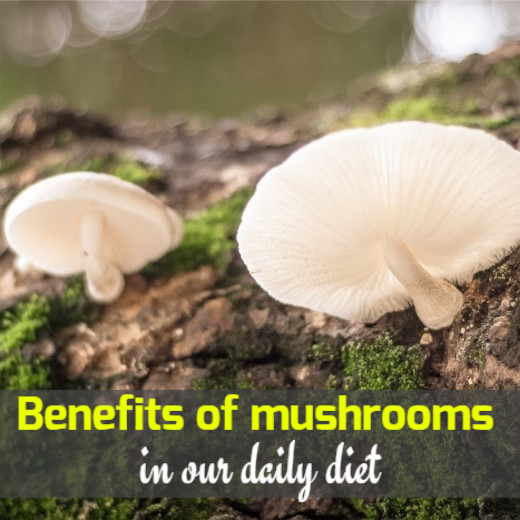 What are the benefits of mushrooms in our daily diet? Are there any health benefits of consuming mushrooms as part of our diet? Is it true that mushrooms are loaded with essential nutrients? Mushroom immunoceuticals are a blossoming boon to individuals with diminished immunity, tormented with cancer, or merely descending into ill health with the passing of time. Mushrooms are widely referred to as "medicinal foods” due to their fascinating ability of immune support. They are extremely resilient, kill viruses, bacteria, and even yeast. Some mushrooms destroy cancer cells, facilitate nerve regeneration and even survive radioactivity. The strongest first generation antibiotics like penicillin, streptomycin, and tetracycline are from fungal extracts. The world-renowned mycologist Paul Stamets in his "The Most Powerful Medicine in Nature" about fungi states that out of million species of fungi, we have labelled only ten percent in which we have recognised the immune properties for only half a dozen of them. Many of the mushrooms valued for strong medicinal properties grow on trees, capturing the nutrients that the tree had stored for hundreds of years and turning it into a little medicinal powerhouse. Each mushroom species has a unique anti-infective and immunomodulating agents that include polysaccharides, glycoproteins, ergosterols and triterpenoids. The orally-bioactive glucans, fructoglucans and proteoglycans isolated from these phytonutrients are currently the most promising class of immunoceuticals. They are capable of simultaneously augmenting the activity of white cells in providing host immunity. Glucan and proteoglycan mushroom immunoceuticals offer hope for cancer patients. As dietary supplements, they are safe, clinically proven, and exhibit near-perfect benefit-risk profiles. Button mush rooms (Agaricus spp). Refrigerate fresh mushrooms in a paper bag or their original container. They remain fresh when neither too dry, nor too damp. Before cooking, clean the soil with a soft brush or damp paper towel. Mushrooms absorb water easily, so do not soak in water for cleaning. Reject any portion of the stem holding a lot of soil. An inclination towards combination of immunopotentiating agents with cancer regimens of surgery, chemotherapy, and radiation therapy is now cutting-edge in Japan and China where mushroom preparations have been an anticancer resource for centuries. Let’s include more mushrooms in our daily diet to defend us!